Tiger Woods has announced he will not play at the US Open at Oakmont as he continues his recovery from injury. The former world No 1 has not played competitively since finishing joint 10th in the Wyndham Championship in August last year, after which he underwent two back operations in the space of six weeks. 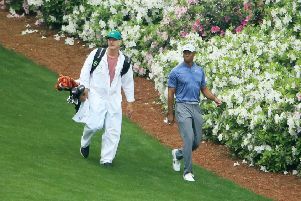 Woods has posted videos on social media of him swinging the club at seemingly full pace and in April played five holes alongside friend Mark O’Meara at the official opening of the course he designed at Bluejack National Golf Club. But despite registering to play in the second major of the year, he has now confirmed he will not compete for a fourth title or play at the Quicken Loans National - which he hosts - the following week. “While I continue to work hard on getting healthy, I am not physically ready to play in this year’s US Open and the Quicken Loans National,” read a statement on his official website. “I am making progress, but I’m not yet ready for tournament competition. “I want to thank everyone for their continued support. The positive texts, emails and calls I have received have been incredible. “I want to wish Mike Davis, Diana Murphy, the USGA, the players and everyone at Oakmont a very successful week. The statement echoed Woods’ comments at a press conference in May where he confirmed he was back to playing at a club near his Florida home but not yet ready to compete at Tour level. “I have been practising at home, and I am progressing nicely, I am hoping to play (again soon),” he said. “I am still trying to get stronger, trying to get more pliable. I am hitting the ball better and everything about my game is coming around. The next possible event for Woods to make his return is the Open Championship at Royal Troon in five weeks’ time.